Since Star Wars make its big return to Marvel Comics, there have been a handful of solo series: Darth Vader, Princess Leia, Kanan (from the animated show The Clone Wars) and recently Lando. Well, you can add another to that list as everyone’s favorite Wookie will be getting a solo series when Chewbacca debuts this fall. It is technically a limited series, so it will only run for five issues. However, those five issues are sure to be filled with arm waving and bellowing. 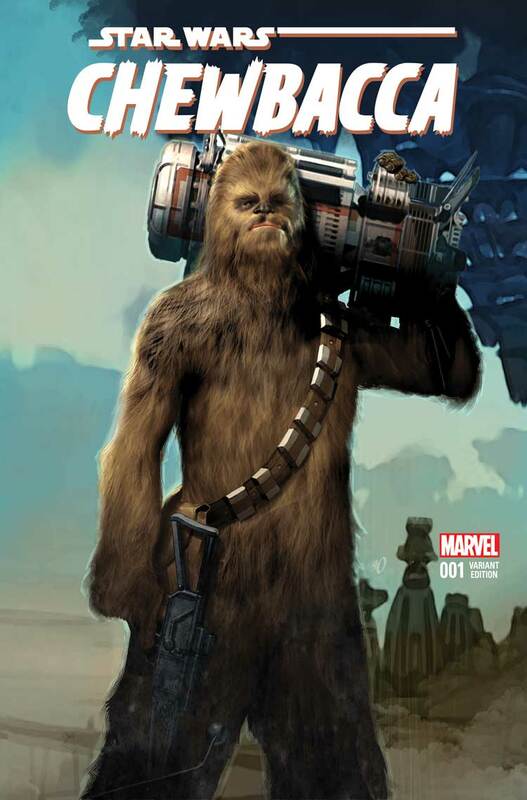 The creative team for Chewbacca will be writer Gerry Duggan (Deadpool) and artist Phil Noto (Black Widow). This is a pretty strong line-up for the series, and Noto will be familiar to Star Wars comic book readers because the new Star Wars: Shattered Empire featured Noto’s vivid art on the cover of the first issue. On one hand it might seem hard to have a story centered on a character whose language readers cannot understand. In most Star Wars stories, Han Solo is there to react, giving audiences a clue to Chewie’s message. Without Han, how will we know what Chewbacca is thinking or saying? That might not be as important, it turns out, because Duggan conceived of the Chewbacca series as a Western. In an interview with IGN, Noto says that Duggan pitched it as “kind of The Man with No Name coming to help these people.” In regards to understanding Chewbacca, Noto says, “Yeah, it’s a lot of acting…But Gerry’s also been really good in terms of setting up the story. Like, I don’t have to do too much with Chewbacca. 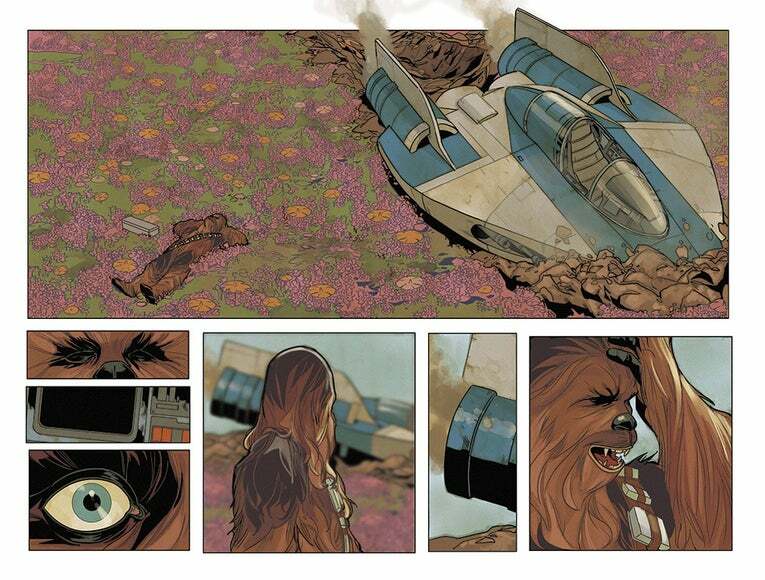 You kind of know what Chewbacca’s reactions are going to be, if you know anything about the character.” Chewbacca #1 from Gerry Duggan and Phil Noto will be released by Marvel Comics in October 2015.